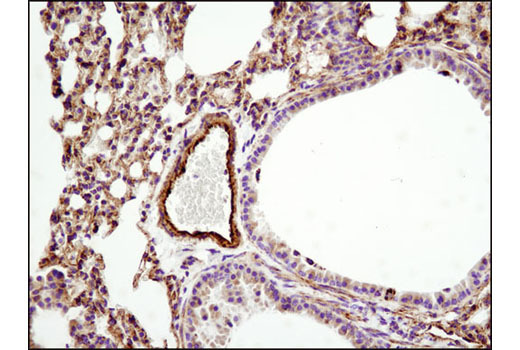 Background: The triggering receptor expressed on myeloid cells 2 (TREM2) protein is an innate immune receptor that is expressed on the cell surface of microglia, macrophages, osteoclasts, and immature dendritic cells (1). 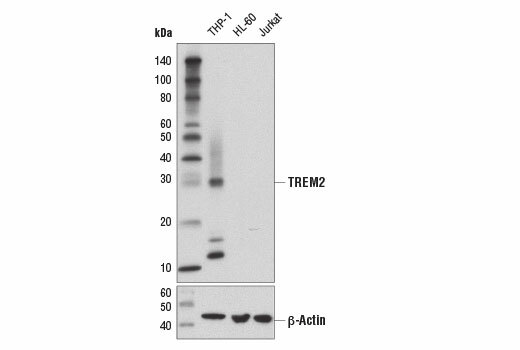 The TREM2 receptor is a single-pass type I membrane glycoprotein that consists of an extracellular immunoglobulin-like domain, a transmembrane domain, and a cytoplasmic tail. 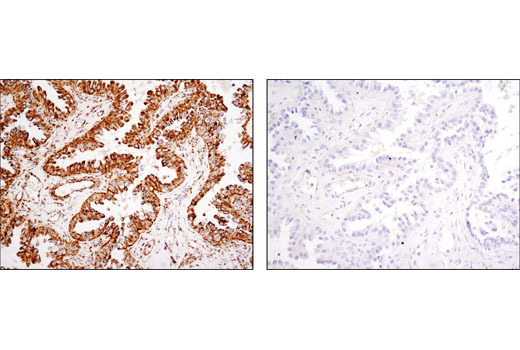 TREM2 interacts with the tyrosine kinase-binding protein DAP12 to form a receptor-signaling complex (2). 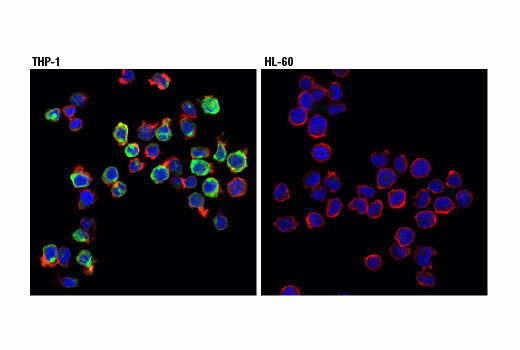 The TREM2 protein plays a role in innate immunity and a rare functional variant (R47H) of TREM2 is associated with the late-onset risk of Alzheimer’s disease (1,3). 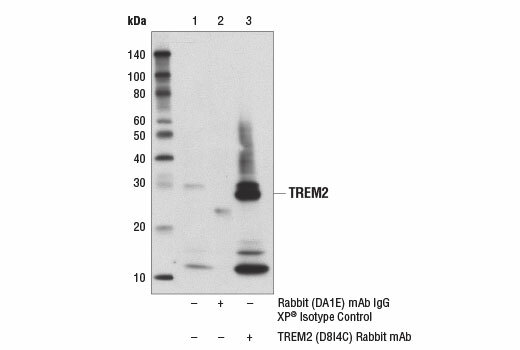 Research studies using mouse models of Alzheimer’s disease indicate that deficiency and haploinsufficiency of TREM2 can lead to increased β-amyloid (Aβ) accumulation as a result of dysfunctional microglia response (4). These results agree with the distribution of TREM2 in human brain regions (e.g., white matter, the hippocampus, and neocortex) that are involved in Alzheimer's disease pathology (2). 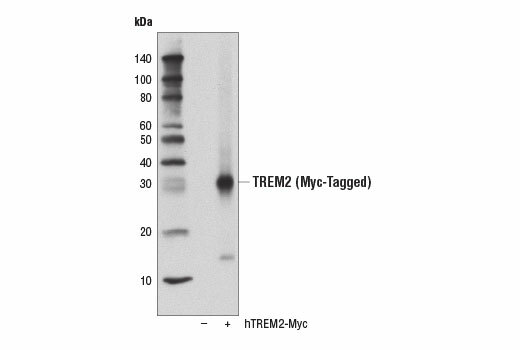 In addition, amyloid plaque formation induces expression of TREM2 and amyloid phagocytosis (5). 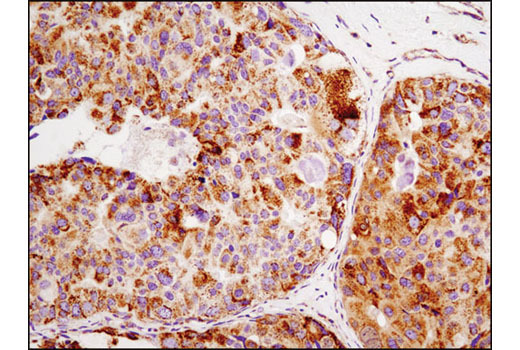 Loss-of-function mutations in the corresponding TREM2 or DAP12 genes can result in Nasu-Hakola disease, a rare form of progressive presenile dementia that results from polycystic osseous lesions (6). TREM2 membrane shedding occurs by cleavage at the extracellular site between H157/S158 generating an N-terminal shedded fragment and a membrane bound C-terminal fragment (7, 8). Background: In both prokaryotic and eukaryotic cells the misfolding and aggregation of proteins during biogenesis and under conditions of cellular stress are prevented by molecular chaperones (1-3). 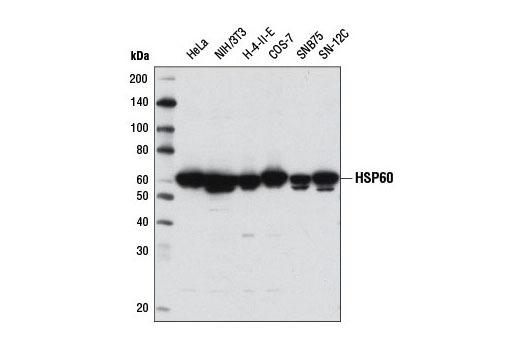 HSP60 has primarily been known as a mitochondrial protein that is important for folding key proteins after import into the mitochondria (4). 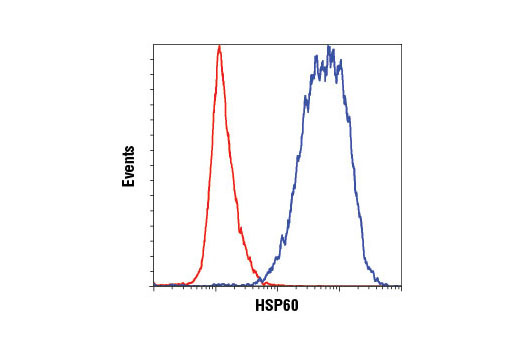 Research studies have shown that a significant amount of HSP60 is also present in the cytosol of many cells, and that it is induced by stress, inflammatory and immune responses, and autoantibodies correlated with Alzheimer's, coronary artery diseases, MS, and diabetes (5-8).